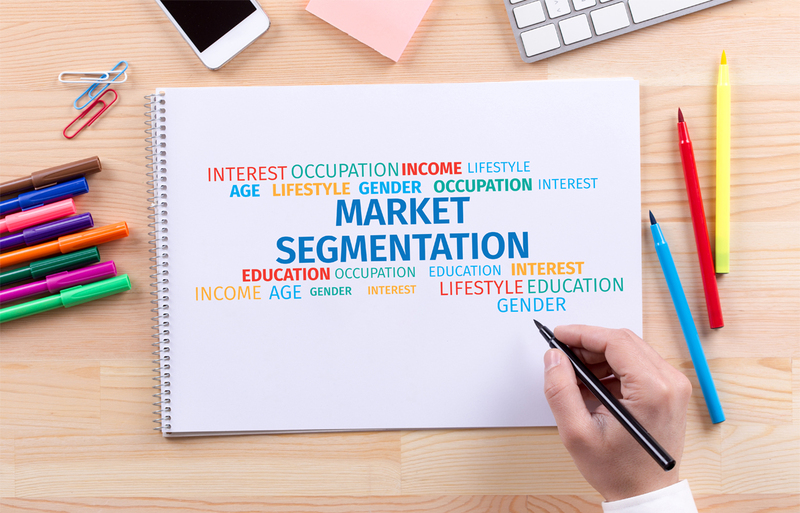 The purpose of market segmentation is to divide the market into easily identifiable subsets so that you can prioritize your marketing effort. Effective market segmentation is at the heart of your marketing strategy and allows you to beat the competition by providing tailor-made products, services or solutions. Rather than spending valuable marketing dollars on general messages it is better to identify your ideal target customer and then divert resources to fulfilling this customer’s needs. The best way to segment your market is to define a typical customer in your targeted market segment and build a precise persona for that customer. The customer persona needs to be detailed and include demographic and psychographic features along with behavioral characteristics. For example, you may define your typical buyer as a woman in her mid-thirties who works for a large multinational company and stops for shopping on her way home. Let’s give this typical buyer a name, Amy. So your key task now is to get to know Amy. What motivates her buying behavior? Is she the main decision maker or do other people influence her buying behavior? The more precisely you get to know Amy, the more focused and hence effective your marketing effort. The customer’s entire journey from the point she becomes aware of a need to the point she actually purchases a product needs to be carefully traced. You can use a variety of techniques, such as customer surveys, focus groups or interviews to understand the customer’s needs and decision making process. Surveys are better for addressing standard questions for example, “if the price of my product rises by $2, will you still consider it value for money?” Interviews on the other hand are better at gaining unique and deep insights into buyer behavior. Asking open ended questions during face-to-face interviews is recommended for best results. When segmenting your market it is important not only to identify the current needs and wants of your segment but also how these may change over time. You need to know how big your current market segment is and also predict how this segment will evolve over time. This is because your product or service will need to evolve with the changing needs of your identified market segment. Sticking with the same example of Amy as your target buyer, is she going to get married in the future, have children, retire,etc. What are the implications of this buyer life-cycle on your product offering? Your marketing mix needs to adjust to the changes in your buyer’s life-cycle. If this does not happen even your loyal buyers can switch to your competitors. Next you need to consider which marketing channel to focus on to attract your typical buyer. You can use call tracking to find out exactly which marketing channel works best for your target audience. For example, does your typical buyer prefer print ads, TV ads or online ads? The best way to find out is through determining the convertible leads generated through each channel. Through tracking calls you know exactly which channels led to the most phone calls. You also know which of those phone calls generated sales. Hence, you know exactly what sells and what does not. Based on this information you can reallocate your marketing budget to the channels that optimize sales. A keyword level analysis helps determine exactly which keywords appeal to your target market and which do not. In this way you can tailor make your ads by using keywords that click with your target audience. An even deeper understanding of your buyer’s motivations and aspirations can be gained through listening (with permission) to call recordings. Through intelligent market segmentation you can also identify which markets are high growth and high profitability. There may be some segments that are high growth but low profitability and others that are high profitability but low in growth. Ideally you want to focus your product on markets that are high growth and high profitability. For example, you may find that your product is used by all age groups but teenagers are the most heavy users of your product. In this case, your marketing dollar needs to focus on the teenage segment. In summary, through market segmentation you can prioritize your marketing dollar to the segment that is most profitable. Further with call tracking you can allocate your marketing dollar to the channels that appeal to your segment with almost perfect accuracy. Hence, market segmentation along with call tracking allows you to optimize your Return on Investment (ROI).